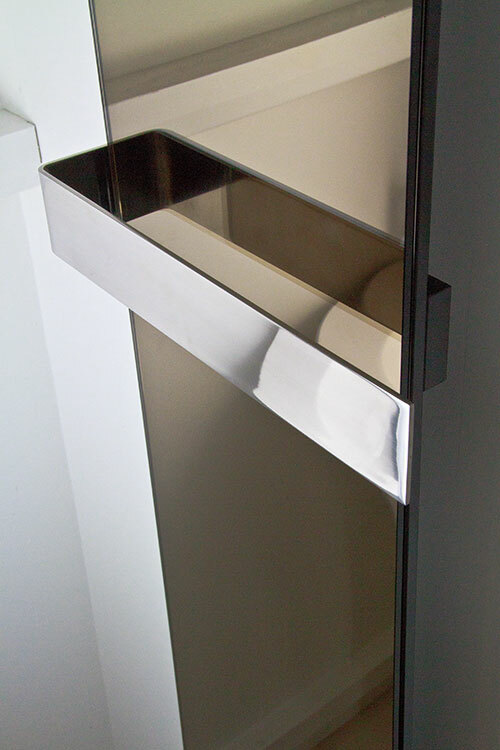 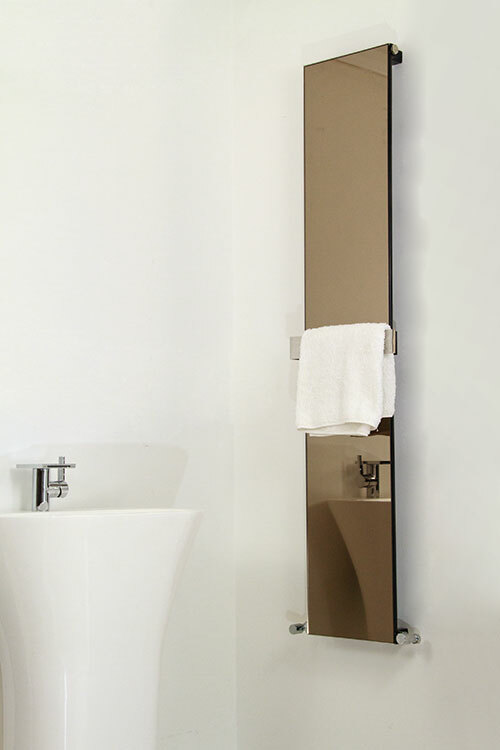 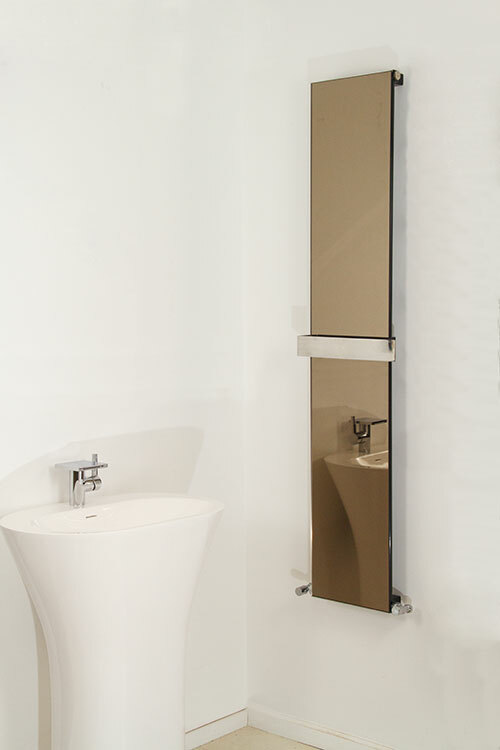 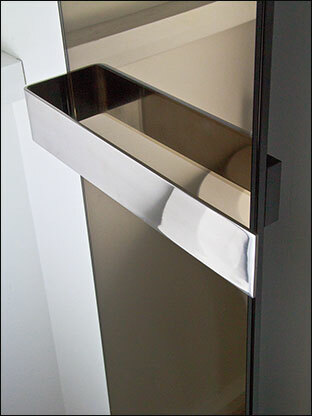 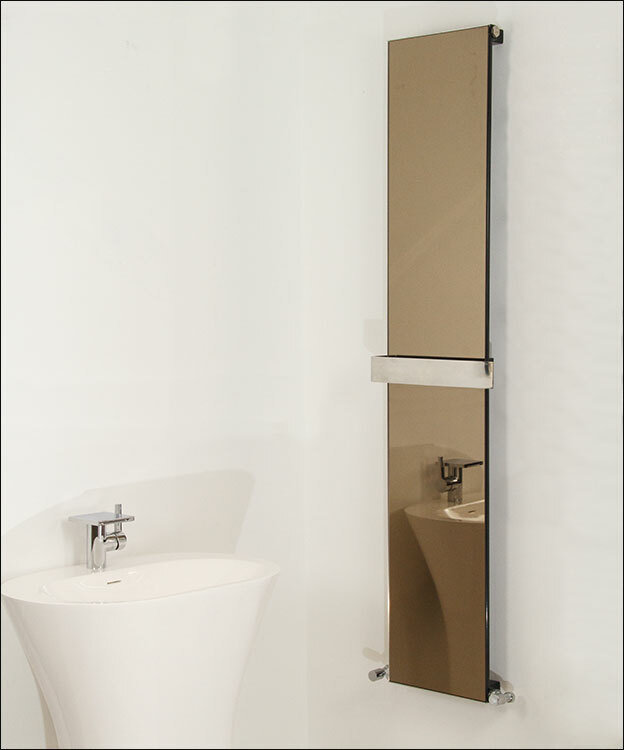 This slim bathroom styled mirror radiator is supplied with the choices of silver mirror or bronze mirror finishes. 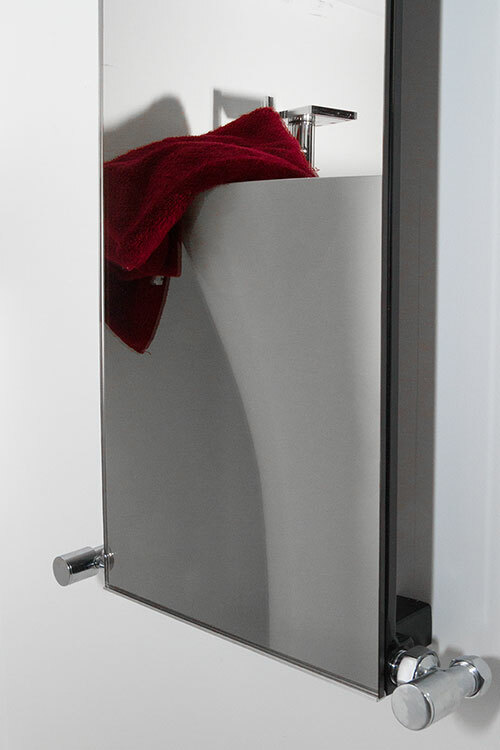 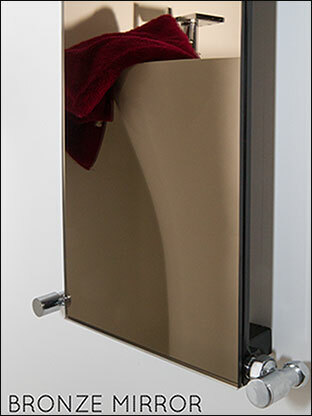 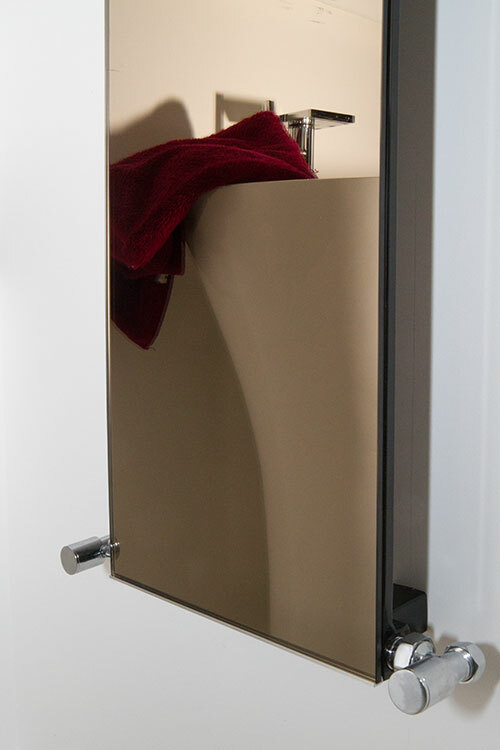 A contemporary towel heating radiator that gives condensation free viewing in steamy bathrooms because of the heated mirror properties. 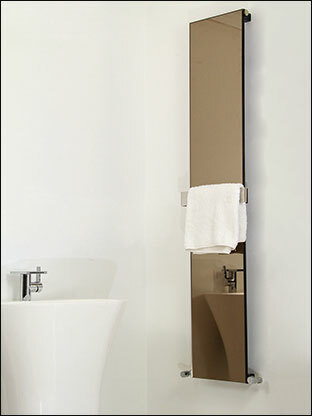 • Silver & bronze mirror choices.